In the important hours between when school gets out and dinner is served, we have an obligation to make sure that the kids and teens who spend this time with us are achieving social, emotional and physical wellness. From building self-esteem and confidence to providing healthy snacks and activities, our Clubs offer a breadth of ways that kids can develop healthy habits for life. From the basketball court to the soccer field, youth sports are the ultimate classroom. In addition to the physical health benefits that sports offer, kids also learn the importance of teamwork, sportsmanship, perseverance, respect for authority and rules, and how to win with class and lose with dignity. Boys & Girls Clubs of Greater Sacramento is proud to offer daily opportunities for physical activity at each of our program locations. Additionally, we have several more formalized opportunities for Sacramento's youth to engage in organize athletic opportunities. BGCSAC's GREAT FUTURES Sports League is a FREE year-round organized sports league open to Club members and community partners. The league began in 2015 thanks to our partnership with the City of Sacramento’s Gang Prevention Task force. Each year we serve 300 youth in the league, helping improve the health of participants while closing the “Sports Gap” for socio-economic disadvantaged youth. Participants can choose from Basketball, Soccer and Dodge ball, gaining proven positive benefits of participating in organized sports. Last year 92% of participants showed improvements in cognitive skills and 76% showed improved academic measures. These Club programs help develop fitness, a positive use of leisure time, reduction of stress, appreciation for the environment and social and interpersonal skills. Sponsored by Coca Cola and Anthem Foundation, Triple Play is a comprehensive health and wellness program, strives to improve the overall health of Club members ages 6-18 by increasing their daily physical activity, teaching them good nutrition and helping them develop healthy relationships. 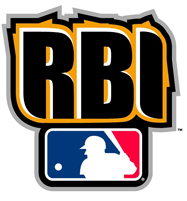 Jr. RBI is designed to teach the fundamentals of baseball and softball to children ages 5 to 12. It also serves as a feeder program for the RBI program. RBI provides training to Clubs wishing to start or expand boys baseball and girls fast-pitch softball leagues for ages 13 to 15 and 16 to 18. RBI teams representing Club leagues are eligible to participate in sports clinics. WANNA PLAY? encourages youth ages 6 to 12 to increase their overall fitness and health through physical activity and improved nutrition education, while learning the fundamental skills of baseball and softball.